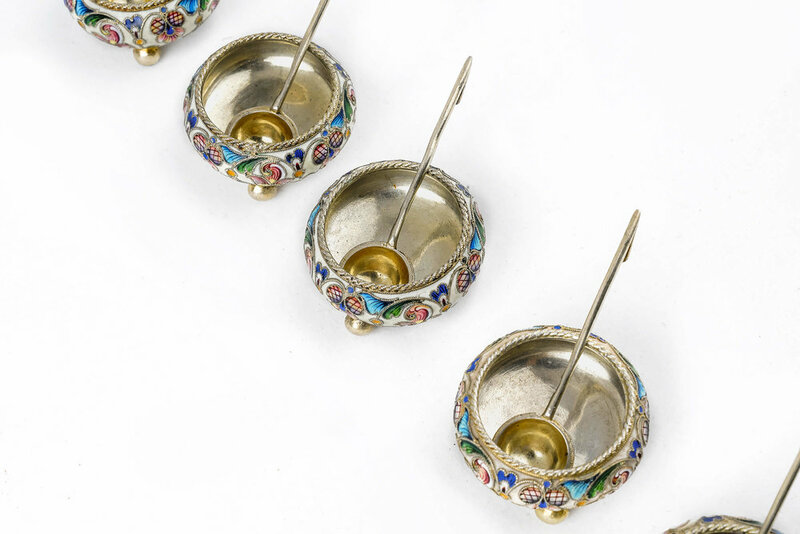 Set of 6 antique Russian silver cloisonne shaded enamel salts & spoons by Feodor Ruckert, circa 1900. 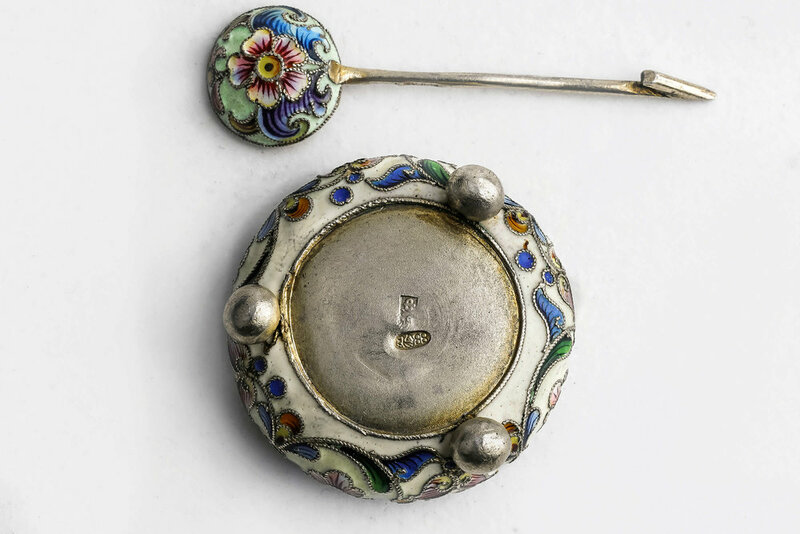 A beautiful set of 6 antique Russian silver cloisonne shaded enamel salts & spoons by Feodor Ruckert, circa 1900. Length of salts are 1.25 inches. Length of spoons are 1.7/8 inches.